Isenfluh – is a typical Swiss mountain village and yet quite unique. The access to the village is via one of the few road loop tunnels in Switzerland. Above the village the brows of Eiger, Mönch and Junfrau come into view. Trümmelbach falls near Lauterbrunnen – is one of the wildest glacier ravines in Europe with the ten waterfalls of the Trümmelbach cascading through the rocks. Staubbach falls – on the edge of the village of Lauterbrunnen. The water plunges almost 300 metres from an overhanging cliff face. It was the inspiration for one of Goethe’s famous poems. 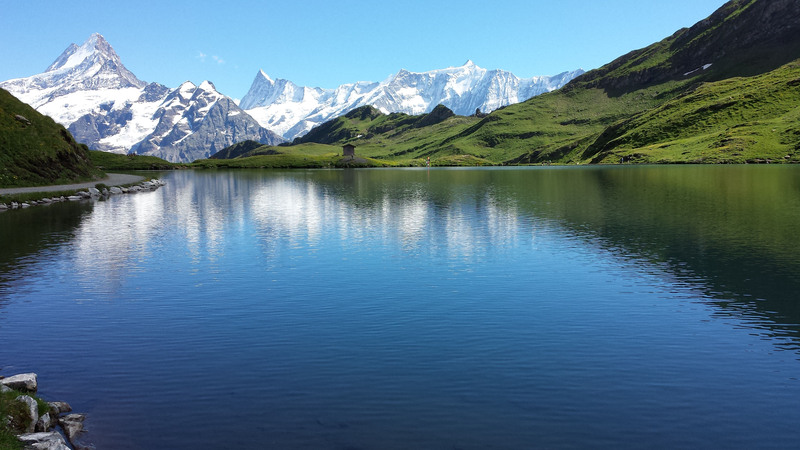 Schilthorn – on the trail of James Bond. 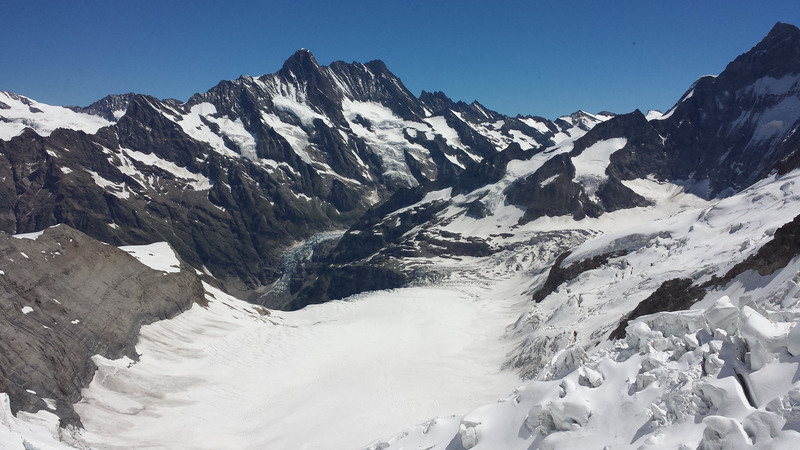 Visitors to the Piz Gloria revolving restaurant at 2970 m can enjoy the view of 40 mountain peaks and 20 glaciers. 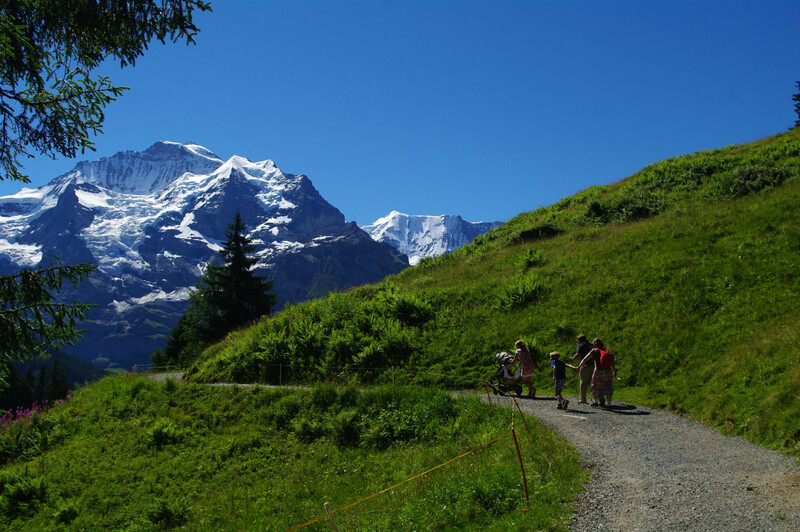 UNESCO world heritage themed trail at the end of the Lauterbrunnen Valley – the first themed trail in the Junggfrau-Aletsch world natural heritage site and devoted to waterfalls, alpine farming, power stations and mountain hotels. Kleine Scheidegg – impressive view of the north face of the Eiger and the four thousand metre peaks of the Jungfrau and Mönch. Also, the starting point of the rack railway to the Jungfraujoch. Jungfraujoch (3454m) – since 1912 the Jungfrau railway has been plying its way through a 7 km long tunnel to the ‘Top of Europe’, the ultimate excursion destination in the Bernese Oberland.